What’s cool, though, is when I find something I’d forgotten I had that I can still use. Back in the late 1990s, I was buying a lot of journals—mostly at library sales. That was the cheapest place to get them. 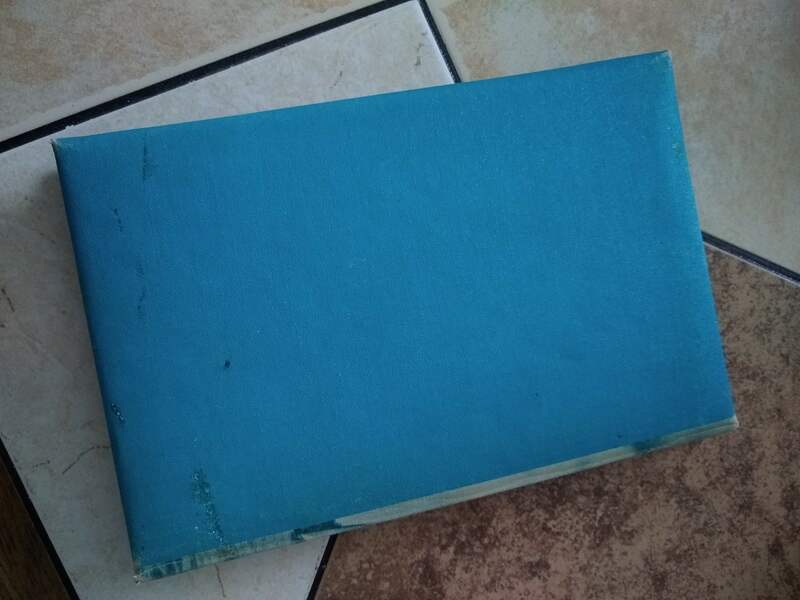 Because library sales are a dumping ground for really old books, they also provide opportunities to pick up really old journals, which are often more interesting than you can find nowadays in any store. Some of them even have a sense of history. 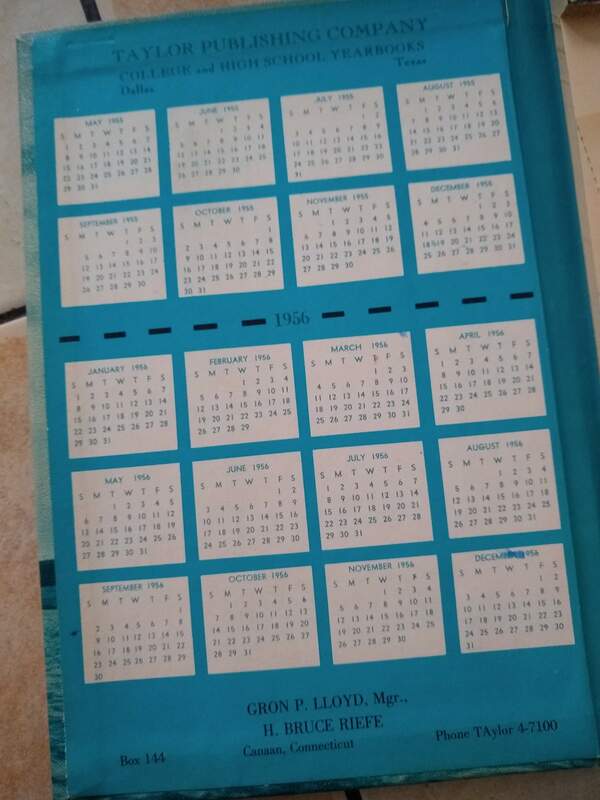 This winner from 1956 has a calendar from that year, an old-style phone number (TA4-7100), and the name of a company manager who’s probably long dead. What’s cool about this last thing? His name is part of my life now. Someone I never knew, someone who had a whole career and a family and interests and hobbies, but he’s reached out to me from decades past. It’s just awesome. I love the calendar, the old style phone number and the name of a company manager who probably passed away years ago. I found it in one of my basement boxes, and it was still unused. It smells of mildew (it did when I bought it, I remember), but I really love the convenient tear-off size. It’s great for phone messages, shopping lists, and random notes (although not so great for longish paragraphs that come into my head for future stories). These tear-offs are the perfect size for lists and random notes. One of my favorite uses for it is recording bird sightings on my back porch. By the time I took this photo I’d already used half of this book. When I found it, it was full. I’m officially using it up. But I think it’s a shame that when it’s done, I’m just going to throw the outside away. It feels like a crime to toss something that wasn’t used for over sixty years in the trash, but, you know…we can’t keep everything, and at least I gave it a nice life for a couple of months. The back and its mildew stains. They’re kind of charming, actually. 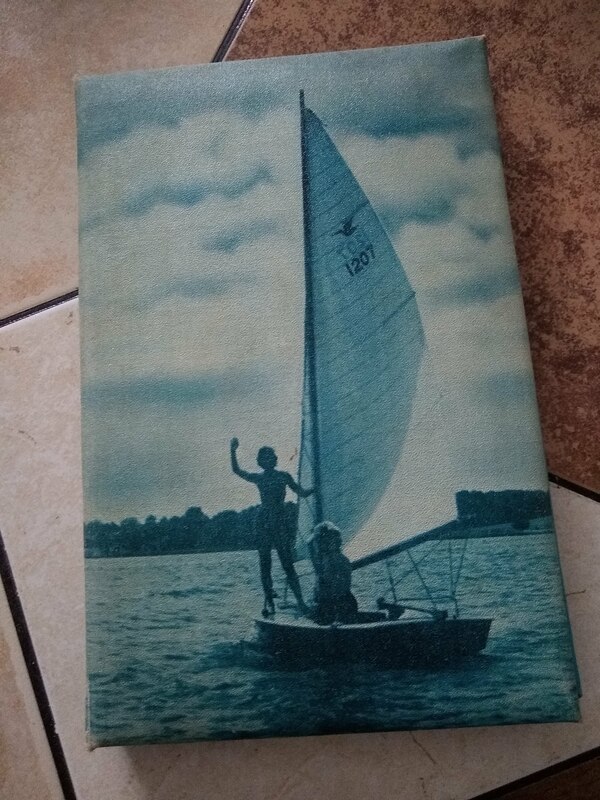 Posted on March 24, 2019, in Deep Thoughts & Fun Stuff, The Writing Life and tagged Library sale finds, memo pads that are good for kitchens, old journals, old phone number styles, Taylor Publishing Company. Bookmark the permalink. 2 Comments. What a cool find. I found an old art book once, with the art student’s notes in it. It was like we were studying human figures together. Wow! That is a great story! !